Rustic Olive Wood Serving Board: Created as a byproduct of Tunisia’s renowned olive oil industry. Meticulously cut to reveal the beautiful wood striations that only Mother Nature can create, each board has a smooth surface with unfinished edges. This board is perfect for serving appetizers, setting a pillar candle, or simply a decorative piece. 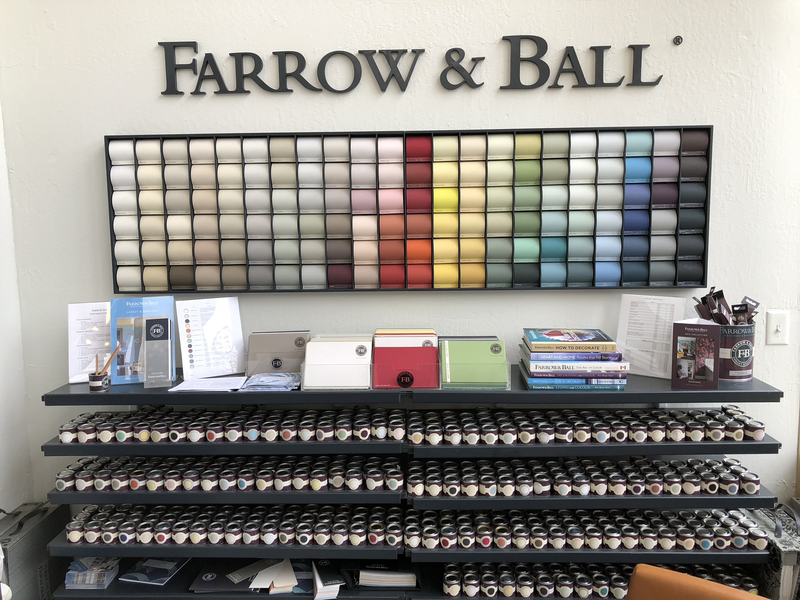 Each board measures approximately 14 x 7 inches and will vary in pattern. 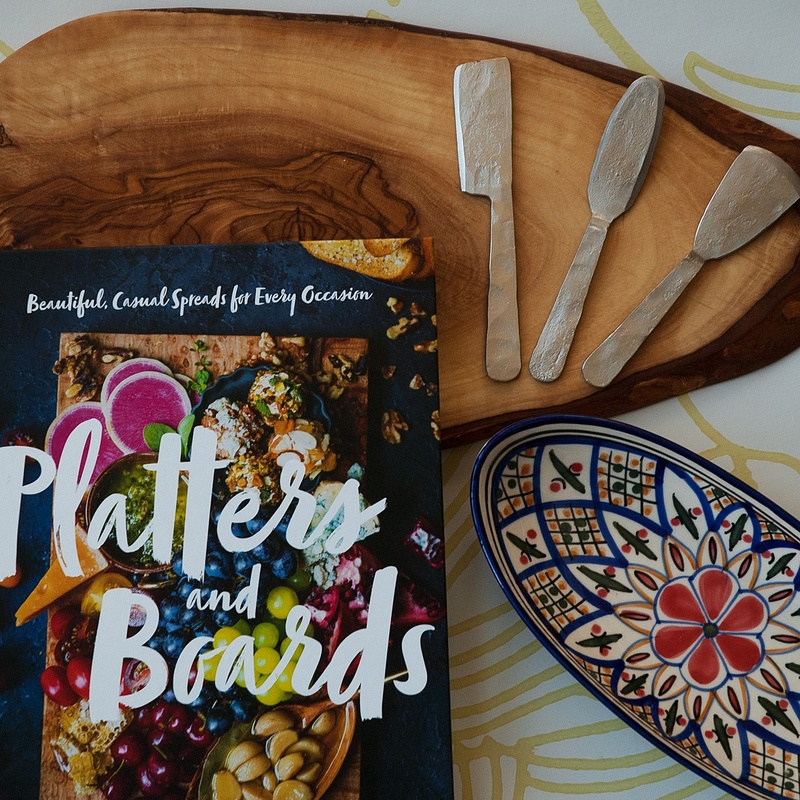 Platters and Boards Cookbook: Beautiful and delicious entertaining, party dishes your guests will love. Celebrated author and food blogger Shelly Westerhausen shares the secrets to creating casually chic spreads anyone can make and everyone will enjoy (and envy). This visual cornucopia of a cookbook is the guide to entertaining with effortless style. With over 200 pages of recipes, presentation ideas, photos, you will be able to make these easy to prepare recipes and be the hit of your next party. Hand Painted Tabarka Small Oval Dish: Perfect for olives, dips, candy, or just about anything that requires a long oval dish, this is one of our favorite limited edition pieces. It takes three to seven craftsmen to make one of these hand-painted oval dishes from Tunisia. This is one of our best selling items, and sure to become your favorite too. The dish is vitrified, to be durable: dishwasher as well as microwave safe. Measures approximately 3.25 x 8-Inches. Cordoba Pewter Cheese Spreader Set: Rustic, yet elegant, pewter three-piece cheese set has a chiseled finish. You will find each piece is very functional and is a fabulous complement to our rustic olivewood serving board. Each piece measures approximately 4-inches in length.